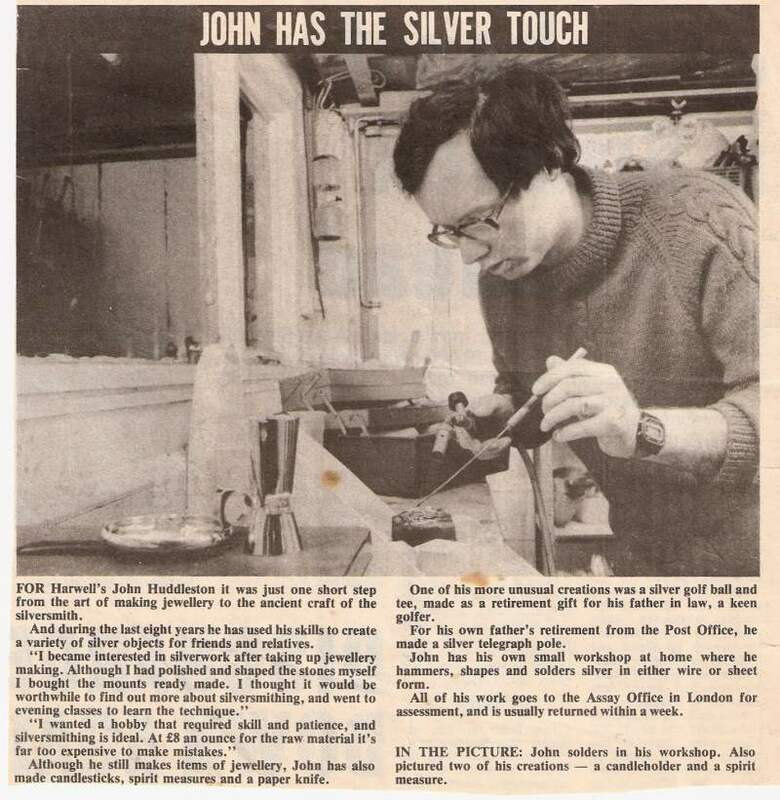 I have been silversmithing for over 30 years (see ‘History‘ below), mostly as a hobby, but now as a commercial enterprise. Download my latest flyer. Largely self taught, I use my scientific background to ‘read the book’ then develop my skills to achieve results. I founded the Abingdon Silver Group and run an ‘Introduction to Silversmithing’ course every autumn for the club. Other teaching experience . I particularly enjoy working to commission. My blog covers day to day thoughts and happenings. Apart from the photographs of my work in the gallery and my shop, I have some less functional, more artistic photographs here. 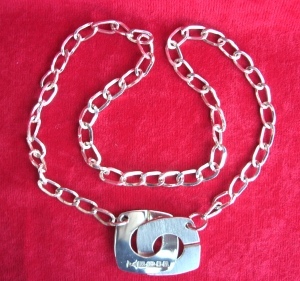 is registered at the London Assay Office. There is more detail on my mark here. I’ve re-registered for my fourth decade – I really don’t feel that old and my work is getting better and better! There are always exceptions, but, almost always, my work is designed, fabricated and finished by me in my workshop in Radley, Oxfordshire, UK. 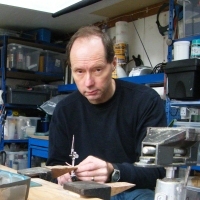 My work starts from standard sheet and wire sections available to the gold and silversmith and ends with me polishing the finished items, be it jewellery or silverware. I usually use commercial ‘findings’, that is the small accessory parts such as ear wires, brooch clasp components, fasteners or standard chains. I don’t consider making these a good use of time, unless it is required as a feature as in this pendant where I made both the clasp and chain. Most of my work – generally excluding earrings that are under the weight limit – is hallmarked with the UK traditional marks that include the date letter. Many items are below the legal minimum weight for hallmarking, which adds to the cost, but I feel the authenticity and traceability implied by the assay marks are an important feature of UK silverware. I call myself a silversmith. Technically, I don’t make much large silverware, but I do make spoons, bowls, boxes and candlesticks, which is what a silversmith does. Therefore, it is probably more accurate to call myself a goldsmith, who makes smaller items including jewellery in both silver and gold. However I only work in gold to commission, so silversmith seems more meaningful. In my workshop I have a good range of tools and facilities. Soldering and annealing is done with an open gas flame and so the resulting firestain, a thin copper oxide layer, is formed on sterling silver. I remove the firestain from display areas, but there may be odd specks left. I don’t get work rhodium plated to hide the firestain or other imperfections as the plating will wear off in time and I expect my work to look good for ever! Given time, I can polish all of an item of silver to a mirror shine, but, in practice, the first use or even an inadvertent rub against a surface or coarse cloth will induce fine scratches, so I don’t take things to extremes. Silver looks best having been properly finished (not plated), used, cleaned and buffed to a good shine. 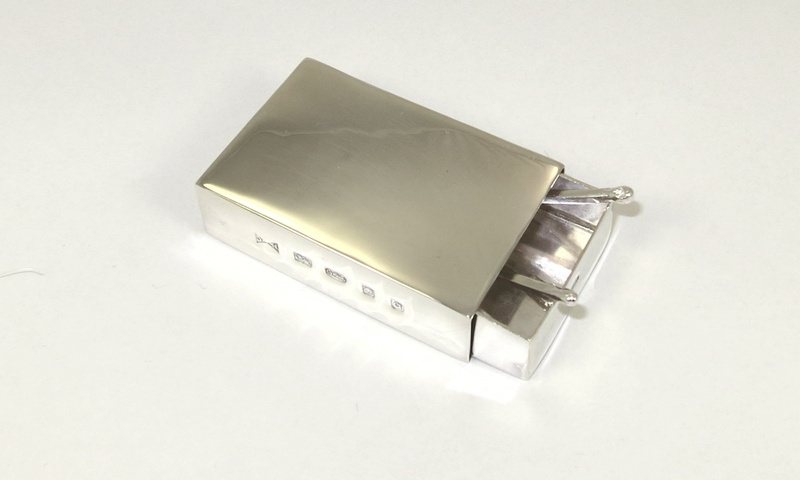 The finest scratches will be burnished away as the silver is polished and the surface mellows. Well finished silver has a depth to it, which is why it is my preferred metal. The following comes from the newspaper of the UKAEA – Atom News – probably about 1986. Same workshop as above but much better fitted out. I now have contact lenses and a comb, but less hair to use it on!